The ESA released a report about the gaming industry at large in 2016. You can read the whole thing by hitting the source link at the base of this post. It’s comprised of infographics and easily digestible. One super interesting section that VG247 picked up on is the one about digital game sales versus physical game sales. In the U.S., the gap is really wide with digital sales accounting for 74 percent of the action and physical taking up the remaining 26 percent. 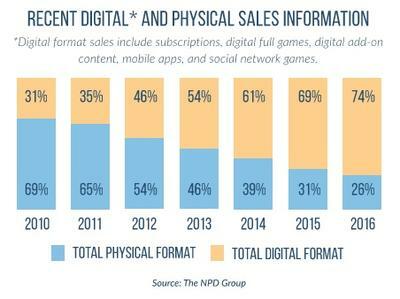 While there’s no doubt that digital game sales are doing well, the fine print indicates that this covers all mobile apps (which are digital only), subscriptions, downloadable content and microtransactions. 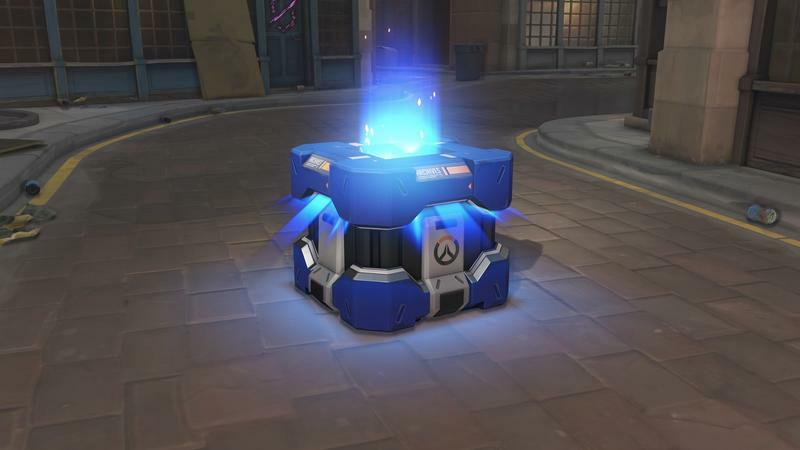 Heck, I’ve paid for Overwatch loot boxes and those count in this statistic. As the mobile world and games-as-a-service continue, this gap is only going to get wider. That’s not to say that physical will be 100 percent dead in the next year, but… I don’t think that’s far off. The cost to produce cartridges and discs gets in the way of profit, and it looks like consumers are easing into that all digital future. Me? I’m afraid of what happens when companies decide they don’t want to support my games as they age. I don’t mind digital. I mind the idea of not being able to play a digital game in 10 years because some company decides to flip a switch.